Moving to a new home doesn’t necessarily mean relocating to another state or a faraway city—it can also mean moving within your current city limits, or to another town within the same county. Whether the purpose of your move is to upgrade into a nicer neighborhood, the purchase of a new home, or for a better school district for your children—there are many reasons for moving locally, and hiring a reputable local mover can help make any type of local relocation project a success. Regardless of the distance you’re traveling to your new home, relocation is bound to require plenty of planning, organization, and hard work. Local relocation is harder than it seems—and it makes sense to hire professional Bay Area local movers to avoid the stress and hassle of a DIY move. Professional movers like our team at Upline Moving are highly trained experts, equipped with the state-of-the-art resources you need to pull off streamlined transition. At Upline Moving, we’re proud to be a highly rated and trusted Bay Area local moving company. From one end of the street to the other, across town, or a few towns over, local moves are a specialty of ours, and have been for many years. In this article, we’ll discuss some of the benefits of hiring our reliable local Bay Area movers for your local move—and how our team at Upline Moving can help you make the most of your experience with a hassle-free, enjoyable relocation. Expertise: Our team of professional local movers in Bay Area are highly trained and experienced in the moving industry, and offer a customized experience designed to address our customer’s needs. We go above and beyond to create custom-fit solutions for your specific needs and preferences, for a moving experience that’s tailored to suit your unique situation. Resources: Partnering with our reliable Bay Area local moving company gives you access to professional-grade moving supplies, equipment, a fleet of trucks, and a team of expert movers, packers, and moving consultants. Convenience: Among our comprehensive moving options, we offer full-service relocation solutions for our customers, including specialized packing and unpacking, custom crating, and more—for a 100% hands-off, stress-free experience. Efficiency: Our professional Bay Area local movers. make sure to strategize your move before it happens, with expert moving logistics to prevent multiple trips and other delays that might hike up the costs of your DIY move. Cost Savings: A DIY move isn’t usually as cost-effective as it may seem. The hidden costs of a DIY move include expensive truck and moving equipment rentals, packing supplies, and the potential expenses that could occur from damage to your items or unexpected injuries. You’ll also need to consider the need to ask others for their time and muscle during the relocation, and the time investment and physical effort you’ll spend on moving, as well. Safety: Not only does hiring a reputable Bay Area local moving company guarantees the safety and security of your belongings, but it will also ensure your family’s safety. By working with expert movers, you will avoid the potential risk of injuries or accidents that could occur during the move. If you are looking for expert local movers in Bay Area, Upline Moving is your best option for planning an affordable and efficient moving experience. For decades, our family-owned and operated moving company has been serving the residents of the Bay Area and other nearby California towns and cities with superior moving solutions and extraordinary customer support. With thousands of moves under our belts, we offer unparalleled expertise for any household relocation—near or far. We’re dedicated to providing exceptional moving services, whether our customers are moving a few blocks away or to another state or country. Our ProMover-certified local movers in Bay area can also offer specialized moving services to suit the needs of our customers, including large household relocation, small apartment moving, last-minute moves, and senior moving services. If you’d like to learn more about how Upline Moving can help you with your relocation, contact us today to speak with an agent. 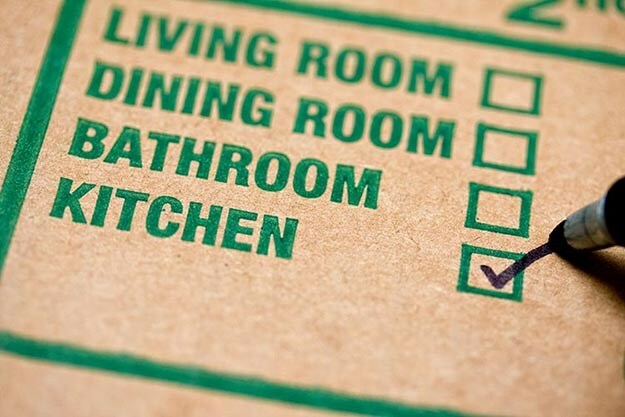 You can also schedule a free, in-home moving consultation and price quote with a moving coordinator if you prefer—just fill out our online form to get started now.